Very nice. I wonder about the brighter area on the lowest part of the tree trunk, whether it is a processing artifact or natural. Mostly here for constructive feedback. They're both lovely but I much prefer the second. I also like those poppies shots. The second has some fluorescent colors that I like very much but the first one is more relaxing/quieter. The more I look at these the more I like them. That’s hard to achieve. Personally I much prefer the first image. For me they both capture the poppies well. I prefer the second for better depicting the feel of a warm summer day, a more congruent image. The WB seems better overall as well. I don't much like the appearance of the trees going near black. I love them both. The first in particular reminds me of some of Monet's paintings of the same subject. My mom had a poster of this one in our house when I was young and your first shot immediately reminded me of it. In my earlier years working in the heavy industry steel works in Sheffield (UK), I was roped into welding someone's old car up for them over a weekend and the car was red and the welding I did on it was extensive, wings, sills and a whole lot more. The owner of the car (a skinflint as it turned out and who never even bought me a pint I might add and who also spent the next two years avoiding eye contact with me in case I asked him for some kind of payment, but I digress) decided he wanted to paint a different colour over it after I'd finished burning myself to a crisp under his rusty old wreck for two days solid. But the spray man he asked to drop by took one look at it and said oh you can't do that very easily with red paint, as the colour red will always bleed back through to the top, as there is something about the colour red that seems to be so strong, it will always overpower any other colours above it. I am only relating this story, because some years later I was trying to print a picture of a field of poppies and the reds just kept blocking up on the print, even though they looked perfectly fine and detailed on the screen and my mind kept going back to what the spray painting guy told me about the colour red. Two very different 8nterpretations – both wonderful! 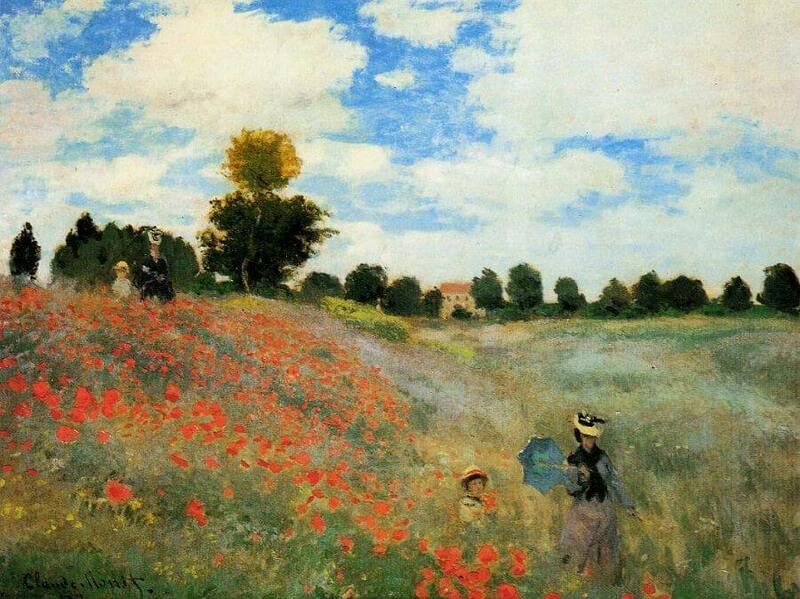 I miss those fields of poppies!